Iowa is a place where the arts and culture industry inspires its citizens, strengthens communities, enhances educational achievement, celebrates its diversity and is a catalyst for economic development. The Iowa Cultural Coalition (ICC) organizes Iowans to advocate for public investment in arts and culture. 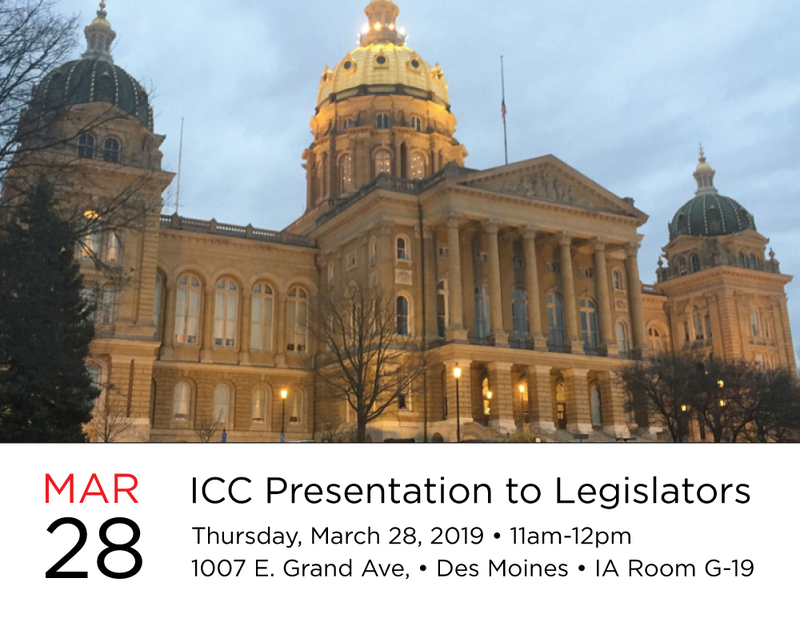 As a statewide advocacy organization, the ICC serves as a strong and unified voice in promoting public funding, legislation, and policy beneficial to Iowa’s growing arts and culture industry. The ICC is a 501 c(3) not-for-profit organization incorporated in the State of Iowa and governed by a volunteer Board of Directors. The Iowa Cultural Coalition was officially incorporated in 2004 after serving several years as an informal citizen advocacy group. The organization is being reinvigorated today to respond to the growing need for organized citizen advocacy on behalf of Iowa’s cultural community.